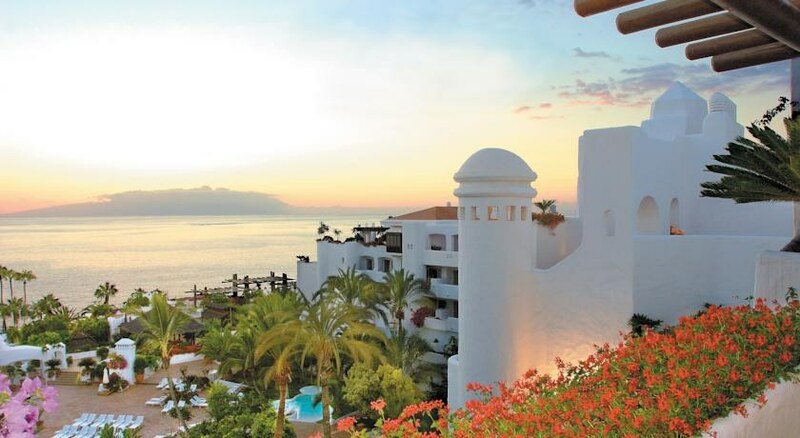 The award winning Jardin Tropical hotel is a four-star family friendly property located right on the beach at La Enramada within the up-market resort of Costa Adeje. This beautiful property has enticing Moorish style architecture set in lush tropical gardens and provides a serene haven for couples and families with 390 recently redesigned rooms and suites equipped with modern amenities. Guests to the Jardin Tropical edifice can relax on marvellous beaches and explore innumerable attractions such as Aqualand in Las Americas and Tenerife's Wildlife and Jungle Park. Tenerife South Airport is 17km from the property. Several exciting sports such as sailing, windsurf, water ski, horseback riding and golf can be indulged in near the hotel. Jardin Tropical is barely 500m, a five minutes’ walk from the beach. 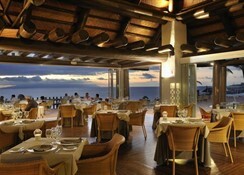 The hotel is located in Costa Adeje’s beachfront, providing spectacular views of the Atlantic Ocean and La Gomera. Siam Park is a 3-minute drive from the property and Tenerife South airfield is about 17km from the property, 15 minutes’ away by car. The property is also 1km from the resort centre. 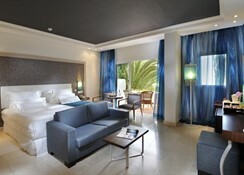 The Jardin Tropical Hotel has 390 recently refurbished rooms. All rooms and suites have TVs with satellite channels. The guest rooms with modern elegant décor also have en-suite bathrooms including a shower and hairdryer, air conditioning, mini-bar, safe, maid service, balcony or terrace. 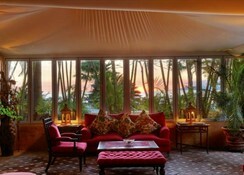 Every room has a balcony or terrace offering lovely views. Some rooms feature exclusive services The Club, together with butler service, access to the club Lounge, open bar and access to a personal space at Las Rocas Beach Club. 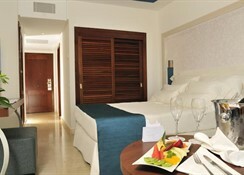 These rooms additionally have access to the sunset space that includes free Balinese Bed and pool caretaker service. 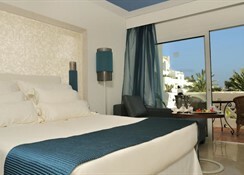 A pillow menu and deluxe toiletries are offered for these type of rooms. 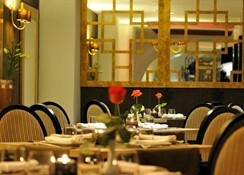 The Jardin Tropical Hotel provides guests Bed & Breakfast, Half Board and Full Board choices. The Las Mimosas restaurant has delicious buffet breakfast and dinner, and there is an a la carte gourmet restaurant, Las Rocas, set on a spectacular cliff, Las Cuevas – an eatery for rice and fish, and Los Cucuruchos restaurant for Mediterranean cuisine. The Beach Club is that the best spot for cocktails and sunsets whereas the Lobby Piano Bar serves cocktails together with breakfast and repast, restaurant Diamond State Paris has live shows and recreation, and Las Adlefas Juice bar is ideal for a mid-morning or mid-afternoon tropical juice, cocktail or shake. The Jardin Tropical Hotel features a pretty outdoor pool, sun terrace with sun beds, children's pool, full-service spa that includes massage/treatment rooms, Jacuzzi, Sauna, Turkish bathtub, beauty services, and a hair salon. Golf packages can be accessed and the dedicated Golf Department makes bookings at the Island's eight golf courses. Additionally, guests are entitled to preferred access to Abama Golf Links, a professional 18-hole golf course designed by Dave Thomas. It options a saltwater pool carved out of the mountain.